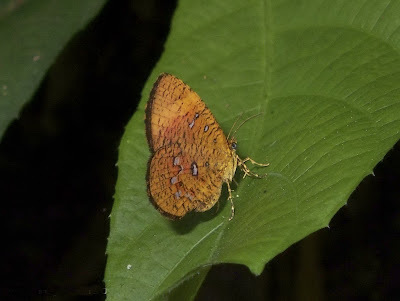 The Callies (Callidula sumatrensis) are small moths which can be mistaken for butterflies because they not only fly in the day but also settle with their wings folded. 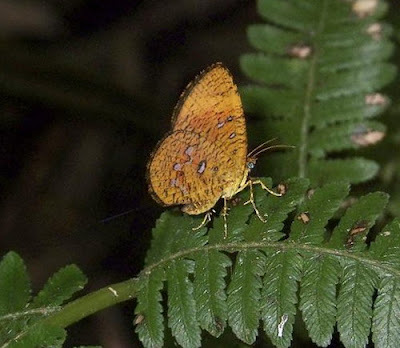 Callidula sumatrensis may be found in well-shaded and damp undergrowth near streams. Callidula sakuni Horsfield stat. rev. Petavia sakuni Horsfield, 1828, Descr. Cat. lepid. Insects Mus. hon. E. Ind. Co. (1): 59, p1. 2. Callidula abisara Butler, 1879, Trans. Linn. Soc. Lond. (2) 1: 558, syn. 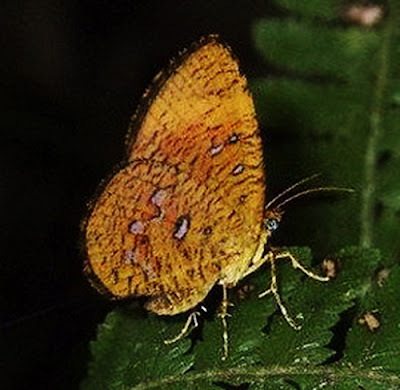 n.
Datanga minor Moore, 1879, Descr. new. Indian. lepid. Insects. Colln Atkinson, p. 21, syn. n.
Callidula niasica Pagenstecher, 1887: 232, syn. n.
Callidula sumatrensis Pagenstecher sensu Kobes, 1990: 108. Diagnosis. 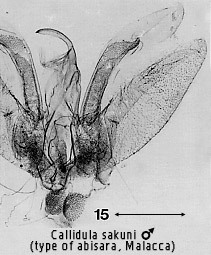 See Callidula sumatrensis Pagenstecher. The male genitalia have the valve in two longitudinal, slightly arcuate components as illustrated. There are two pairs of scent pencils. The female lacks a signum in the bursa. Geographical range. 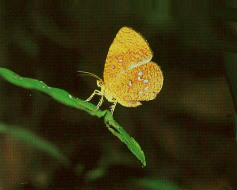 Sundaland; Burma, Thailand (ssp. minor Moore). Habitat preference. 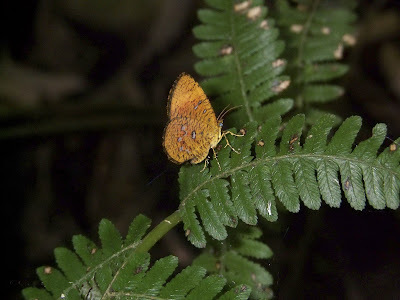 The species appears to be more frequent in lowland forest, though most material seen is without altitude data from G. Kinabalu (Waterstradt).